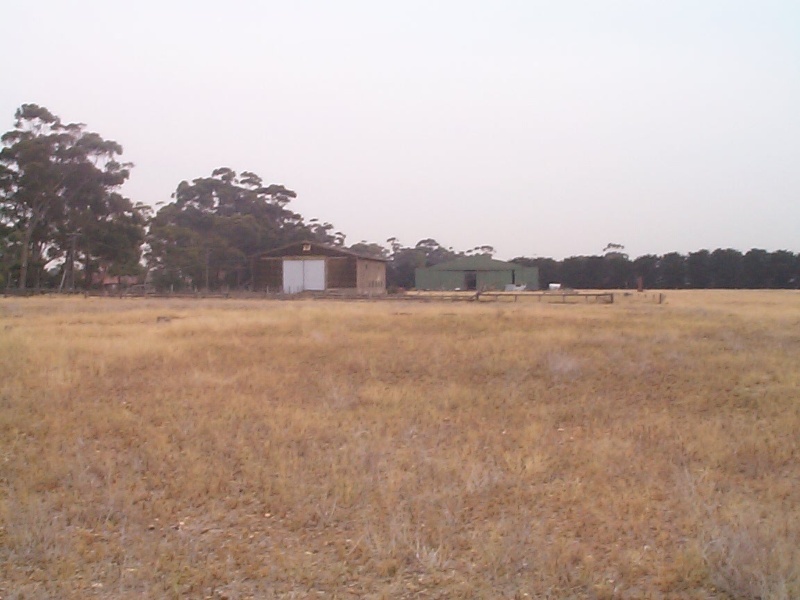 The Werribee Satellite Aerodrome was constructed in 1942 on land leased from the Melbourne Metropolitan Board of Works in 1940. It served throughout the Second World War as a satellite to the nearby Point Cook and Laverton RAAF airfields. 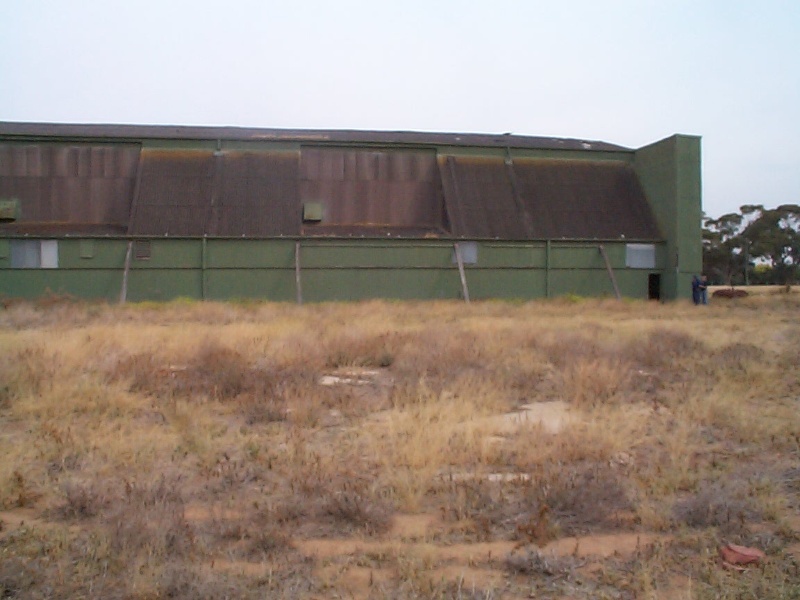 The aerodrome consisted of five timber trussed hangars, a workshop building and an area of accommodation and administration buildings. The airfield was grass with no formed runways. In 1952 the land, including the buildings was returned to the MMBW. Only the hangars and workshop building remain. The hangars are unique in Victoria being the only examples of a type of timber truss design originating in the United States and using steel sheer connectors to produce clear spans of 130 feet (39.6m) and 96 feet (29.3m). The design, produced by the Allied Works Council and adapted to use unseasoned Australian hardwoods, was first employed at the much larger United States Army Air Force base at Tocumwal NSW. At Werribee only one of the five hangars was of the larger 130' span. Timber was used for these buildings because of the shortage of other building materials and because the type was well understood by American engineers on the Allied Works Council. 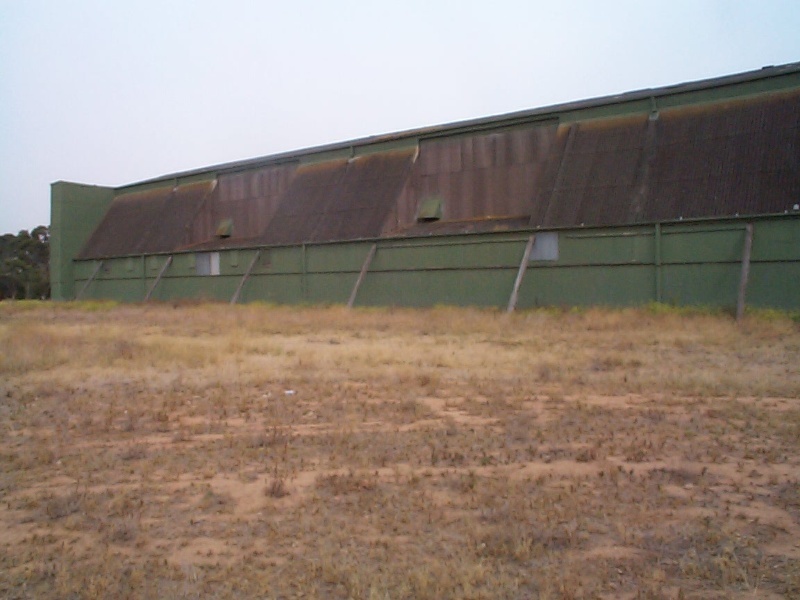 After 1942 this method of construction of aircraft hangars was abandoned in Victoria in favour of the prefabricated steel Bellman type hangars of which scores remain throughout the State. The Werribee buildings, are clad in corrugated iron and asbestos cement, have concrete floors and aprons, and full height sliding doors. They have been used since the 1950s as storage by Melbourne Water and are in reasonable condition considering their age and method of construction. 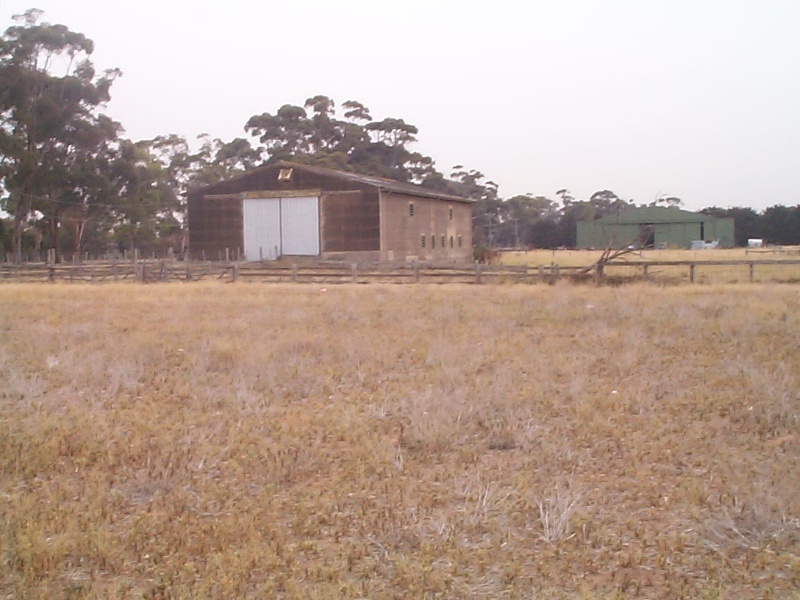 The Werribee Satellite Aerodrome is historically and architecturally significant to the State of Victoria. 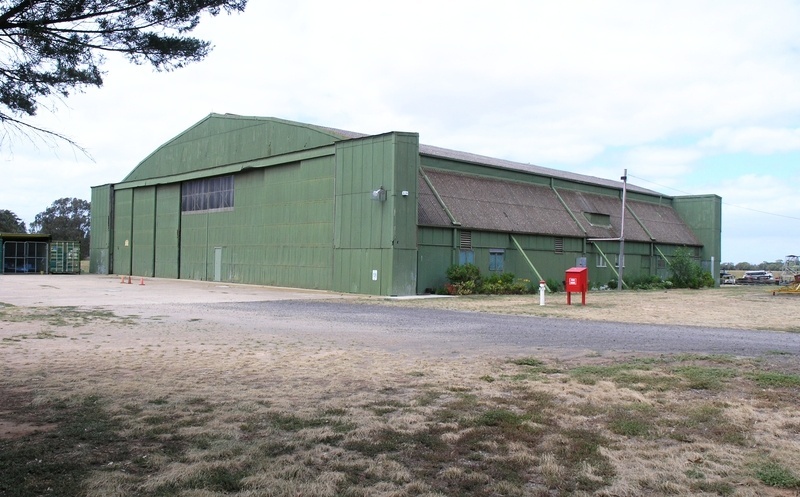 The Werribee Satellite Aerodrome is of historical significance as an example of the many temporary airfields that were constructed across Australia in the early years of the Second World War, particularly after the entry of the Japanese into the war. 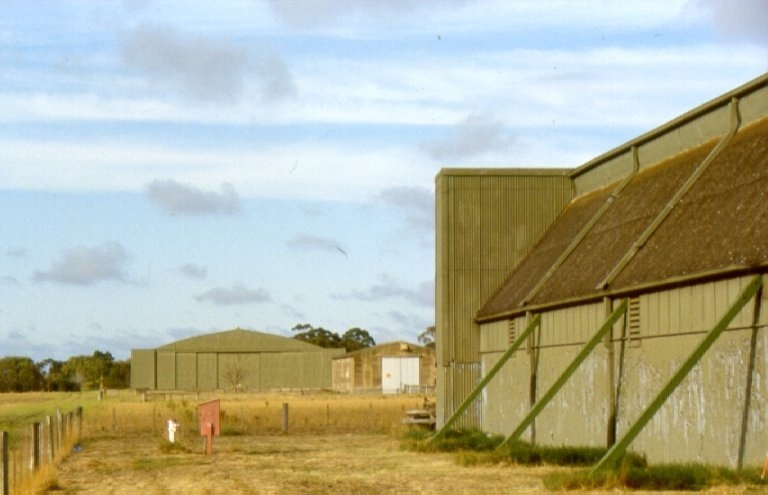 The aircraft hangars at the Werribee Satellite Aerodrome are architecturally significant as unique examples of their type in Victoria. The trusses which provide the large clear span required for aircraft are unusual for being fabricated from relatively short lengths of (initially) unseasoned Australian hardwood joined by patented TECO steel sheer connector plates. This technology of expediency, especially in the case of Hangar 1, produced the largest clear span timber trussed building seen in Victoria. 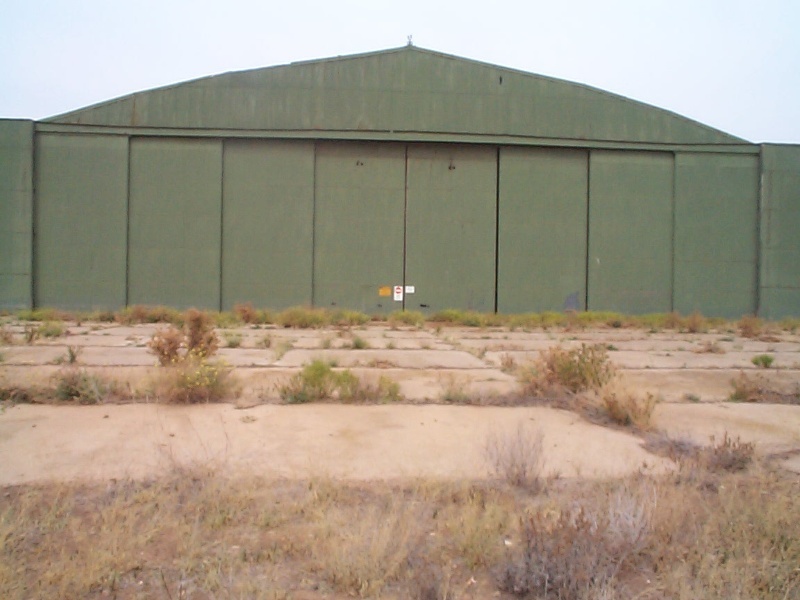 Later hangars such as at Tottenham RAAF Stores Depot utilised nailed arches to achieve a similar span. 2. All the land marked L1 on Diagram 1884 held by the Executive Director being part of the land described in Certificate of Title Volume 10446 Folio 721 . * Routine repairs and maintenance which replace like with like. 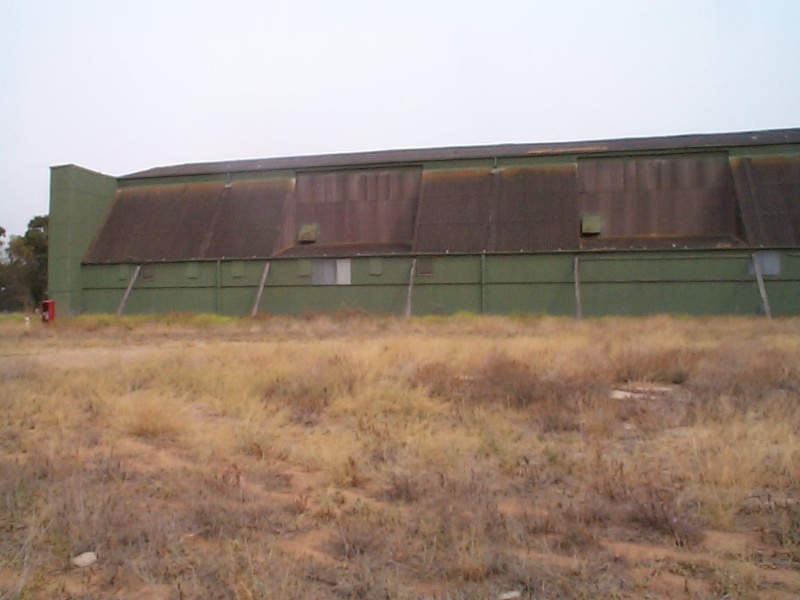 * Replacement of corrugated asbestos sheeting with corrugated metal sheeting. 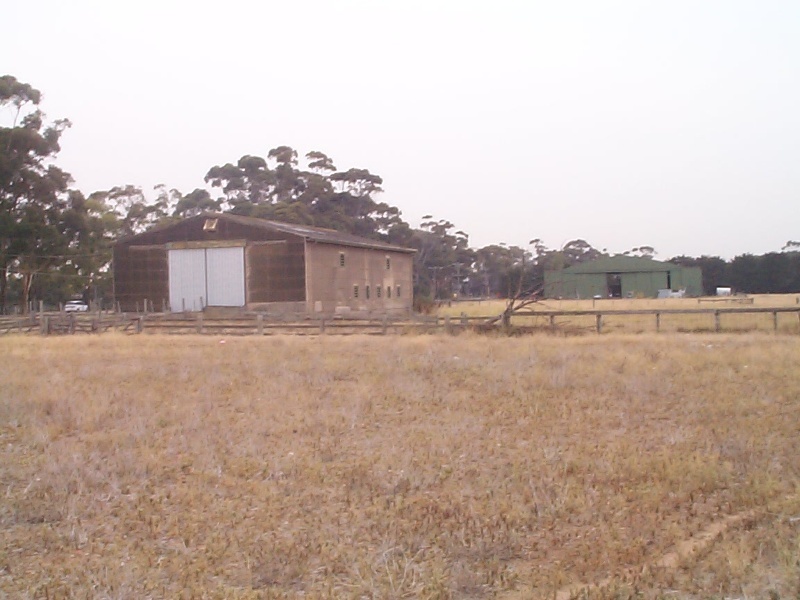 The significance of the Werribee Satellite Aerodrome resides mainly in the unique building type, in particular, the timber trusses. 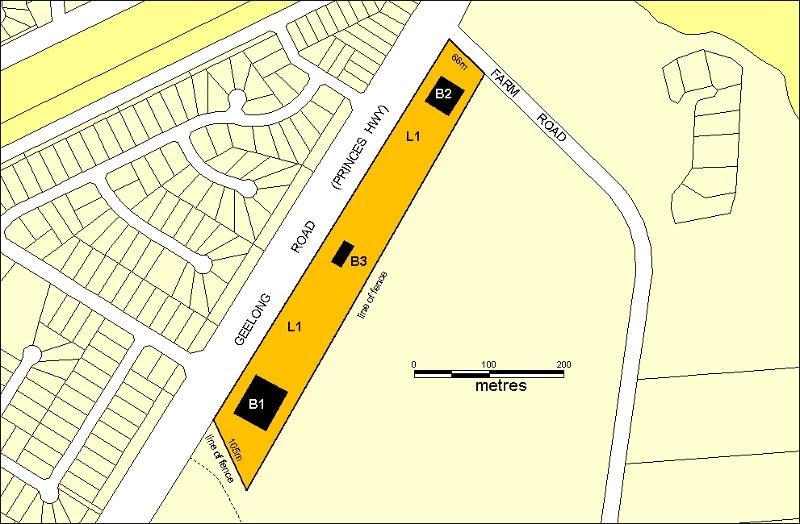 While there is some value in retaining some sense of its having been a World War Two airfield, this is secondary to the importance of retaining the buildings as building types rather than as components of an RAAF airfield.